“It’s rotten, it stinks and there definitely happened something bad!”. 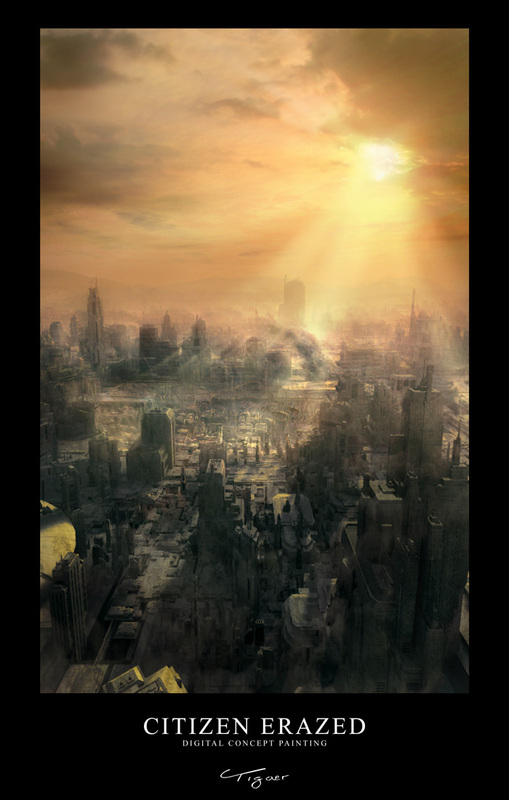 That would be the best description of what we see here in this concept painting. A commissioned concept piece where i had to create a ruined destroyed cityscape. The pic will also be used in an animation. The pic itself again is something i always wanted to do. A nice addition to my portfolio. Check here for an 2.5d matte painting animation of the pic. This entry was posted on Friday, February 1st, 2008 at 15:09	and is filed under Paintings. You can follow any responses to this entry through the RSS 2.0 feed. You can leave a response, or trackback from your own site.